Description: NO MAGAZINE SALES into NEW YORK CITY. CONNECTICUT residents must furnish us state permit copy. This listing is for ONE magazine. 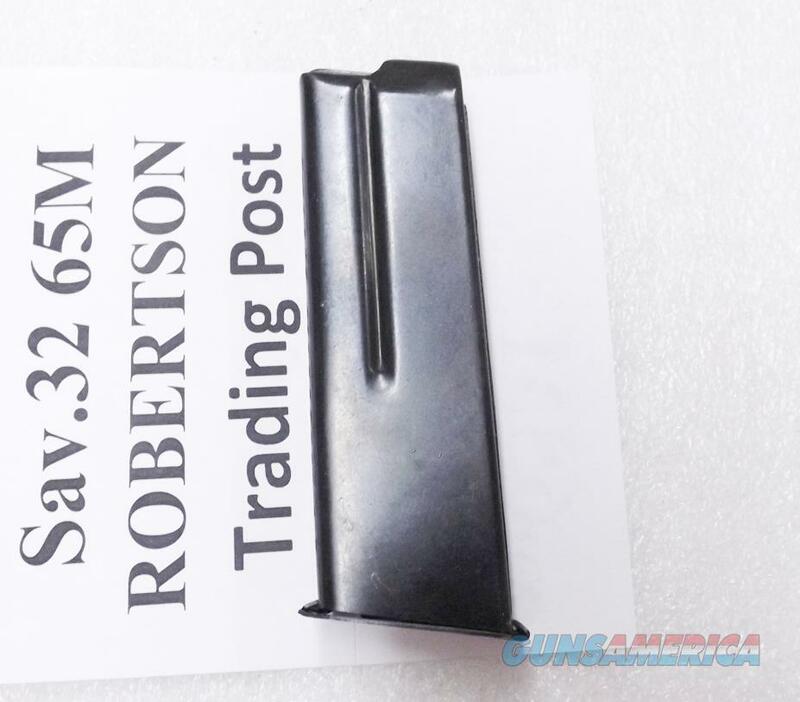 Here are replacement magazines to fit Savage .32 Automatic pistols manufactured from 1917 until 1928, the model of 1917. They do not work on the earlier models. Unlike the original factory magazines, these only hold 7 rounds. Manufacturer and warrantor is Triple K of San Diego. Construction is one piece folded steel body with 3 right side round count ports. Back side closure is a steel tab with 5 spot welds. Cartridge follower and floor plate are steel; and spring is bench tested steel. Each magazine holds 7 rounds of .32 ACP caliber ammunition. This magazine will only fit Savage model 1917 pistols that are chambered in .32 ACP. It will not fit a model 1904, or 1907, or 1915. It will not fit any other pistol to our knowledge. We’re offering these Triple K Magazines each	for only	$ 31.00. Not for sale to residents of New York City. Connecticut buyers must furnish us a copy of your State Permit.